Los Angeles (April 2, 2018) – Production begins today in Philadelphia on Metro Goldwyn Mayer Pictures (MGM) and Warner Bros. Pictures’ Creed II, starring Michael B. Jordan and Sylvester Stallone, reprising their roles of Adonis Creed and Rocky Balboa respectively. Creed II is the continuation of the Rocky saga and sequel to the 2015 critically acclaimed and crowd-pleasing 2015 hit Creed, which took in more than $170 million at the worldwide box office. Ryan Coogler (Black Panther), who directed the first film, returns to the franchise as an executive producer on Creed II. The new film is being directed by Steven Caple Jr., who helmed the acclaimed 2016 drama The Land. “When I wrote and directed Creed, I wanted to tell a human story about a family from a new perspective, while also paying homage to the Rocky characters we’ve all grown up knowing and loving. I’ve known Steven was an amazing filmmaker since our days at USC film school together, so I can’t wait to see what he, Sly, Mike and Tessa bring to this next chapter,” said Coogler. “Ryan and Steven are voices for their generation and their shared vision for Creed has brought the Rocky franchise to an entirely new audience. We know audiences will continue to embrace the legacy that Sly created so many years ago,” said producer Irwin Winkler. Also reprising their roles from the first film are Tessa Thompson as Bianca, Phylicia Rashad as Mary Anne, Wood Harris as Tony 'Little Duke' Burton, and Andre Ward as Danny ‘Stuntman’ Wheeler. The new cast is rounded out with Florian “The Big Nasty” Munteanu as Viktor Drago, Dolph Lundgren returning to the role of Ivan Drago, and Russell Hornsby as Buddy Marcelle. Creed II will be distributed theatrically in the U.S. by MGM on November 21, 2018, and Warner Bros. Pictures will distribute the film internationally. Caple Jr. directs from an original screenplay written by Stallone based on characters from the Rocky franchise. The film is produced by Irwin Winkler, Charles Winkler, William Chartoff, David Winkler, Kevin King-Templeton and Stallone. Coogler, Jordan and Guy Riedel will executive produce. Collaborating with Caple Jr. is a creative team led by director of photography Kramer Morgenthau (Thor: The Dark World, Game of Thrones); production designer Franco Carbone (The Expendables, Billionaire Boys Club); costume designers Lizz Wolf (A Single Man, Dreamgirls); art director Jesse Rosenthal (Black Panther, Trumbo); fight coordinator Daniel Hernandez (Avengers: Infinity War, The Fate of the Furious); technical boxing advisor Robert Sale (Grudge Match, Ali); special effects coordinator Patrick White (Baby Driver, Deepwater Horizon) and VFX producer Crystal Dowd (Straight Outta Compton, Pitch Perfect 2). Filming will take place primarily in Philadelphia with additional locations in New Mexico. 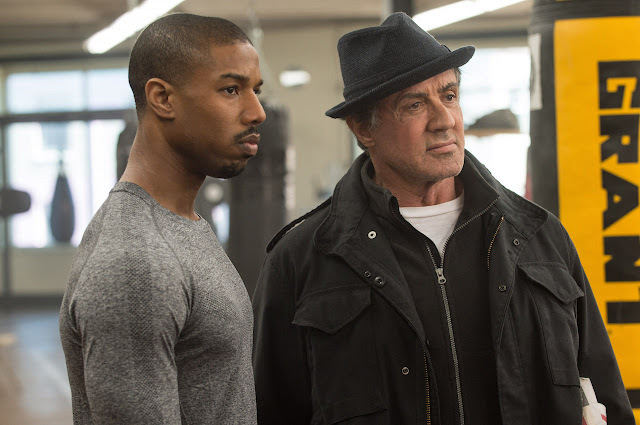 Creed, directed by Coogler, was released by Metro Goldwyn Mayer Pictures, Warner Bros. Pictures and New Line Cinema in November 2015 and went on to garner many honors for Stallone, including a Golden Globe Award for Best Performance by an Actor in a Supporting Role in a Motion Picture, and an Academy Award nomination for Best Performance by an Actor in a Supporting Role.